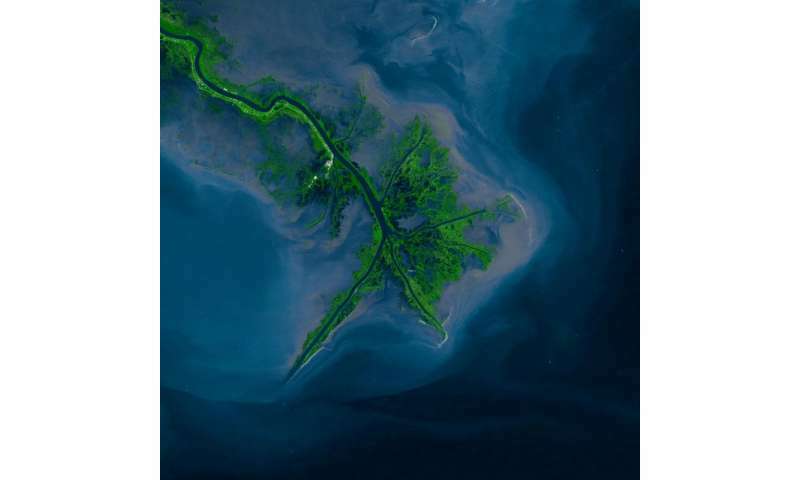 Mississippi River Delta, 2001. Credit: NASA. More information: A three-dimensional surface velocity field for the Mississippi Delta: Implications for coastal restoration and flood potential, Makan A. Karegar et al., University of South Florida, Tampa, Florida, USA. Published online ahead of print on 27 Apr. 2015; http://dx.doi.org/10.1130/G36598.1.